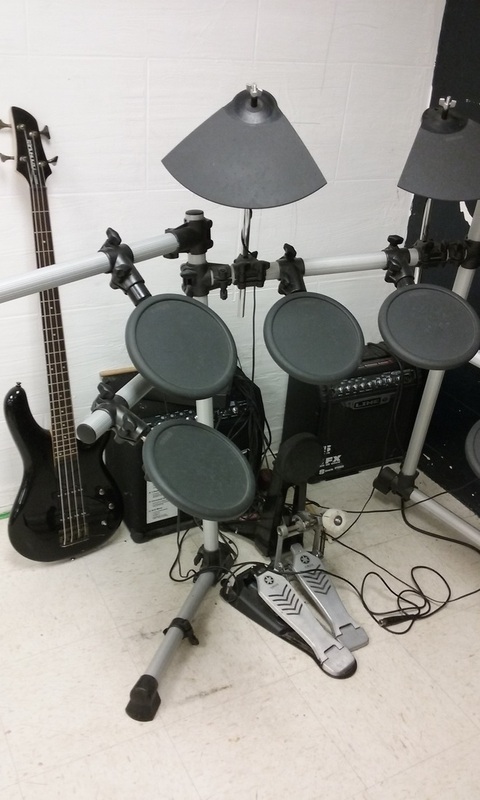 The teen center members can show off their musical talents with electric drums, guitars and keyboard. 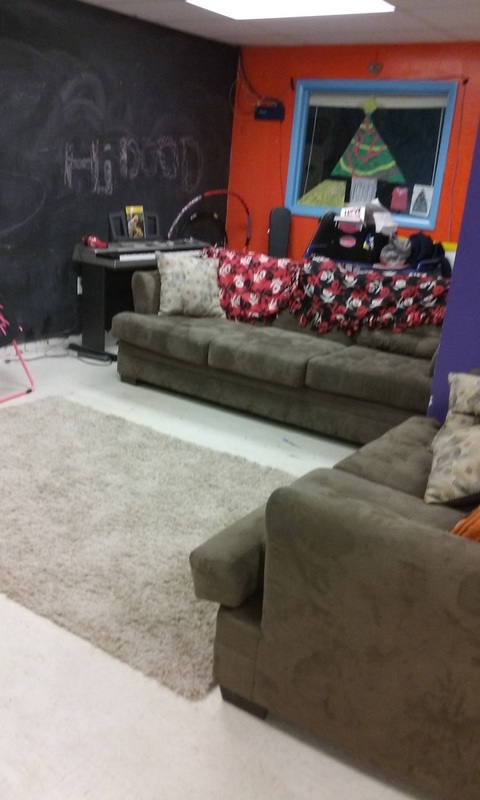 Teens can sit in comfort while chatting with their friends or when watching a movie. 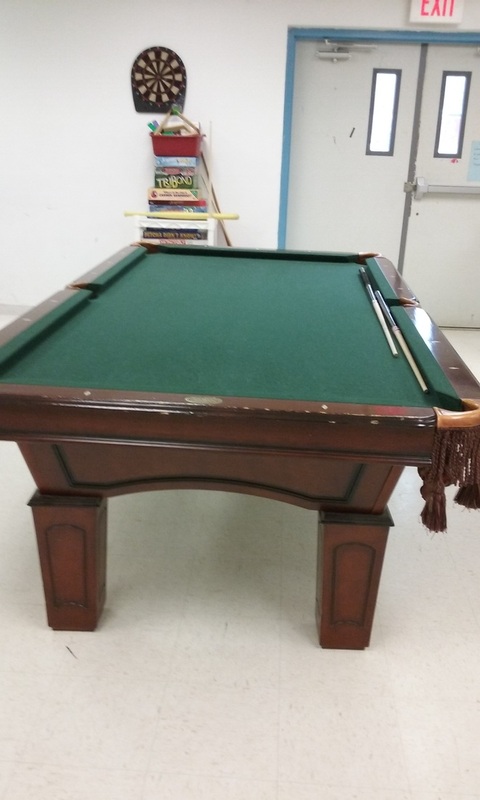 The teens enjoy playing a fun game of pool with their peers.